Home > News Articles > You shall go to the ball! 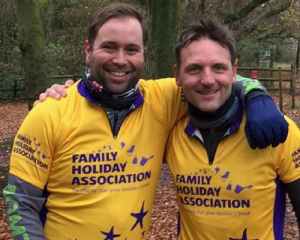 CLIA deputy chair and Family Holiday Association Ambassador, Giles Hawke has put out a call for fellow cyclists in the industry to join him and cycle to the CLIA Cruise Forum on Thursday 14th December. Joining Giles to take on the challenge and cycle a round trip of 90 miles to and from the forum will be Tony Roberts, Vice President, UK & Ireland of Princess Cruises and Robbie White from Choosing Cruising. At 5.00am on Thursday morning the three will be braving a chilly 3 degrees start to arrive in time for the start of the conference at De Vere Wokefield Park. They will depart the following morning after the CLIA Winter Ball to complete the total 90 miles. So far Giles, Tony and Robbie have raised a fantastic £2,592 towards the joint CLIA and Family Holiday Association ‘What a Difference a Day Makes’ campaign. 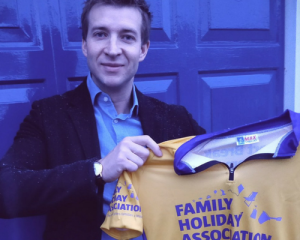 The new partnership between CLIA and Family Holiday Association was launched in September with the aim of raising enough funds to send 250 struggling families on a precious day out to the British seaside or local tourist attraction. Twitter has been buzzing with activity the last few days, so be sure to check out Giles’, Tony’s and Robbie’s pages to stay updated and to follow their progress on the day! You can donate to their page here. Good luck to all!